Have you just been diagnosed with COPD? COPD, otherwise known as chronic pulmonary artery disease, is a chronic and potentially serious condition that affects the lungs. It results in air not being able to get into and out of the lungs, which can result in a wide range of complications. 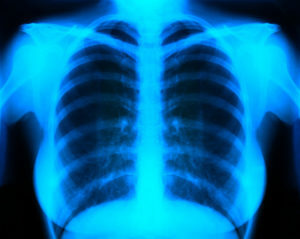 Those who get COPD have usually been exposed to cigarette smoke or other dangerous particulates that damage the lungs. Once you have been diagnosed with COPD, you are at greater risk for other lifestyle diseases, such as heart disease and lung cancer. Therefore, you should take a COPD diagnosis very seriously. When you start to have significant COPD symptoms, it means that there has already been quite a bit of lung damage. Therefore, you need to pay attention to any symptoms that do present themselves. 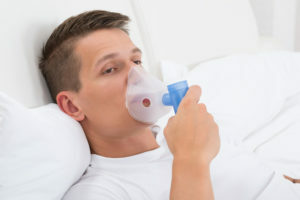 If you experience a tightness in the chest, shortness of breath, persistent wheezing or coughing, mucus when you cough, tiredness, or lethargy, or you are prone to respiratory infections, then you might be suffering from COPD. However, these symptoms can be from a variety of illnesses or conditions, so see a doctor if you experience any of them. While people in developing countries often get COPD as a result poor ventilation in homes, that’s generally not the case in the U.S. In the developed world, the most common cause of COPD is cigarette or tobacco smoking. Cigarettes don’t just cause COPD – they can cause a wide variety of issues, from lung to heart problems. Therefore, it’s important to try to quit smoking as soon as possible if you are a smoker. While only 20–30 percent of cigarette smokers will develop COPD, many others experience other lung conditions that significantly impact their quality of life. What Puts You at Risk for COPD? While cigarette smoking is the main risk factor for COPD, other risk factors do exist. These include having asthma, exposure to dangerous chemicals or respiratory irritants at your workplace, genetics, and age (those diagnosed with COPD are generally over the age of 40). Your most important and effective treatment option for COPD is to stop smoking. Although it can be extremely difficult to stop, there are many programs out there that might be able to help you quit. Nicotine replacements or medications could be able to help you, so ask your doctor if you have any questions. Your doctor will also be able to help you come up with a plan that will allow you to live a full and active life while managing your COPD symptoms. He or she might prescribe steroids or inhalers to help improve your condition. At Prime Medical Associates, we want to help patients diagnosed with COPD and other lung issues. By utilizing a variety of treatment methods, we can help you achieve a life full of health and longevity. Schedule an appointment today so you can start feeling your best on a daily basis. We’re here to help.